My dear friend, welcome to Anxiety Soothers! I call you ‘friend’, though we never meet, because I think our shared humanity and shared experience of suffering with anxiety creates an invisible bond. I imagine us standing side by side, elbows linked, looking at this tough topic. This website offers information, tips and tools for understanding and reducing your anxiety. Rummage through Resources, review the blogs and read the Visualizations, Activities and Body Cues (two of each) that are central to soothing anxiety. Everything included herein has helped me and I hope will be of service to you. If you are drawn toward further information, there is a spiral bound book, Anxiety Soothers. The book contains twenty each of Visualizations, Activities and Body Cues for a total of sixty tools that you can start using right away. The goal of the website and book is for you to internalize those tools which speak loudest to you. Certain Visualizations, Activities and Body Cues will seem more helpful, and you will want to anchor them in your self-soothing skill-set. Something as simple as feeling a little hop of interest as you read or listen to a particular Visualization, Activity or Body Cue may indicate high potential. Jump on that! Practice that resource until it is automatically available when you are anxious and stressed. Imagine lying in bed, stressed, and knowing several things that you can do to help yourself, without even having to turn on a light. Practice the resources that resonate for you until you can effortlessly call upon them when they are needed. At various times I have used ALL the Visualizations, Activities and Body Cues that are in the book. I have my favorites, which I still use, and I imagine that you will, too. All the Visualizations, Activities and Body Cues support calming down the nervous system. Please look at “Anxiety in the Body”, under RESOURCES, to better understand what is happening to you when you are anxious. ﻿It is important to accept that some of us are genetically wired tighter than others, or have been traumatized into greater reactivity. Yet everyone can learn to work with whatever system they have and that is, in truth, the assignment of being YOU. We don’t come with instruction manuals, so our life assignment is to learn how to take care of ourselves in this amazing body-emotion-mind-spirit interweave that creates our personal ecosystem. Care for yourself as much as you would care for your most beloved. Whether that is a parent, partner, child, friend or pet: how much do you care for them? Would you tolerate someone screaming at them or tormenting them? So why is that okay when it happens to you or, even worse, within you? It isn’t, right? Put as much effort as you can into learning how to take care of your Self. Take your time, and know that change will occur over time, and the investment of time is necessary for creating lasting change. When you are more comfortable in yourself, in your own skin, you will find that you can peaceably manage so many situations that come up. All blessings to you on your journey toward a more relaxed, confidant and calm internal experience of being you. Want to try some of the exercises from Anxiety Soothers? Set aside 10 minutes to help yourself. Let the words and visuals sink in as you take a deep breath. Involve your senses by letting yourself taste, smell, hear or feel a ﻿Visualization﻿. 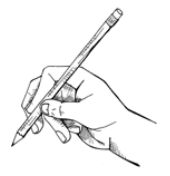 Use a pen and paper, or computer keyboard, to do an Activity. Focus on appreciation for your physical body as you absorb a Body Cue. When you are dealing with an emotion as formidable as anxiety, even the tiniest bit of relief is an indication of positive potential. Your goal is to develop that potential. Use the navigation bar above to try a Visualization, Activity or Body Cue from Anxiety Soothers. your own copy of Anxiety Soothers. Click here to learn about Jeremy and to get in touch.